FOR Olympic, it was quite possibly a defining moment in their season, for United it was another case of what might have been as Olympic came from behind to win two goals to one. Mirjan Pavlovic’s third minute header put the visiting side ahead, after he latched on to a set piece delivery by Ante Tomic. United were hoping to atone for the defeat to Olympic in the Waratah Cup quarter final, but Olympic had other ideas, equalising through Dmitri Hatzimouratis immediately after kick off in the second half and then winning the match when Bradley Treloar lashed home a loose ball with 20′ minutes to go. Olympic’s second half performance was superb and they pushed the ball around with pace and verve, with Evan Kostopoulos at the heart of everything; the only surprise was that he didn’t score. Olympic was twice denied by the cross bar as they peppered Anthony Costa’s goal. The United keeper the injured Diego Barcena, but didn’t have a happy time of it and was culpable for the second goal. It could have been so different for United. The game was only 180 seconds old when the Reds were awarded a free kick on the right hand touchline. Tomic swung it in, left footed, and Olympic’s defence went to sleep. Pavlovic had the freedom of Belmore to place his header past Henderson and suddenly United were ahead. It was just the start they needed after some indifferent recent results. Olympic should have drawn level with just 10′ minutes on the clock when Kostopoulos blazed over after Costa spilled a shot from the edge of the box into the path of the Olympic playmaker. The home side began to make all the running and Harris Gaitatzis nearly equalised, but his curling shot came off the bar, midway through the first half. United weren’t able to get a foothold in the match, with their midfield struggling to keep control of the ball. When they did threaten, Pavlovic showed skill and power, but was unable to provide any end product. A shocking throw from Costa went straight to William Angel in the 36′ minute. He made it to the byline before crossing low to Kostopoulos, who stabbed his attempted finish wide. United finally threatened again, when a free kick from the right nearly caught Henderson out, but the veteran gloveman recovered to palm the ball away. There was one final chance in the first half and of course it fell to Kostopoulos, but he poked wide after a scramble in the United area. They would have breathed a sigh of relief when Stephen Lucas blew his whistle for half time, but Mark Rudan would be furious that his side conceded so soon after the break. Barely 60" seconds had been played when Dmitri Hatzimouratis, until then playing a quiet game, turned Nathan Sherlock inside and out on the left, before cutting inside and firing a low shot past Costa to draw the scores level. It was a superb piece of incisive attacking play from Hatzimouratis, but Sherlock will be disappointed at a poor piece of one-on-one defending. Kostopoulos had another chance shortly after the hour mark, but his shot was blocked by a combination of United’s defenders and Costa. United flickered into life, but only ever-so-briefly. Alec Urosevski popped up on the left, turning inside out the impressive Olympic right-back Brayden Sorge. Urosevski crossed to the back post and it seemed certain that Glavas would score, but Henderson came out and made a fantastic claim to snuff out the opportunity. The pressure tolled in the 70′ minute, when Costa made a mess of defending a set piece. Eventually the ball fell to Kostopoulos who lobbed the ball towards the goal with Costa in no-mans-land. The ball dropped onto the cross bar and out to Treloar, who lashed the ball home with ferocity, sparking wild celebrations. Rudan threw on Richard Darko for Glavas but the youngster had little impact as Olympic continued to press. Costa made a sharp save late on to stop Kostopoulos scoring after great work by Taiga Soeda and Go Shirai on the counter-attack, but it mattered not, his good work was done. BLACKTOWN City recorded a comprehensive 3-0 victory over the South Coast Wolves in a wet affair at Lilys Football Centre on Sunday. Travis Major opened the scoring for Blacktown just minutes before the half time break before late goals Japanese import Ryuji Miyazawa and Korean Danny Choi sealed the victory. The match started at a blistering pace with South Coast clearly sitting back in defence to combat Blacktown’s impressive attacking force. Starting his first match for his new club, former Sydney FC attacker Mitchell Mallia attempted to put his side ahead early. The youngster picked up the ball on the edge of the box in the 6′ minute to shoot directly at Wolves goalkeeper Thomas Hamilton. Two minutes later, as the rain starting pelting down, Matt Lewis got on the end of a cross but was unable to control his shot with the ball skidding across the face of goal. Lewis was again in the thick of the action on 12′ minutes, sending an early cross into the box from the left flank with Travis Major rising well to head the ball wide of the mark. Blacktown continued the aerial threat as Jacob Poscoliero rose to meet a corner in the 16′ minute, directing the ball straight at Hamilton. The Wolves immediately countered after the save and created their first opportunity with Peter Simonoski’s shot saved off the line by Shayne D’Cunha. Ryuji Miyazawa was the next to test the Wolves defence. The classy midfielder played a clever one-two with Sasa Macura in the 23′ minute before his shot was deflected out for a corner. South Coast sharpshooter Ricky Zucco tried to give his side the lead in the 35′ minute, attacking the Blacktown defence with venom but unable to test Vekic as his shot went sailing wide. Blacktown was unlucky not to take the lead in the 40′ minute when Mallia found Major who advanced into the box before cutting the ball across the face of goal. Youngster Shayne D’Cunha came close to burying the ball, only for Wolves defender Darcy Madden to clear. But the duo combined again two minutes later to give Blacktown the lead. Mallia peeled out wide on the right before sending a pin-perfect cross to Major who headed the ball into the bottom left hand corner. It was Major’s tenth goal of the season as the striker currently leads the IGA NPL NSW Mens 1 Golden Boot charts. The Wolves came out of the break hungry to equalise and had a penalty waved away by the referee in the 47′ minute when D’Cunha looked to have handled the ball in the box. Matthew Bailey tested Vekic in the 50′ minute, winning the ball in the middle of the park before sending a great shot goal wards which was initially dropped by Vekic before being cleared. Blacktown regained control of the match after the missed chances with Mallia turning his defender on the edge of the box but his impending shot was well blocked by a sliding Michael Robinson. Poscoliero saw another great chance go begging in the 63′ minute, advancing through the middle of the park in a counter attack to meet a Miyazawa cross but unable to hit the target. With the game still in the balance Bailey sent a floating free kick into the box two minutes to find Christopher Price with a header falling to the chest of Vekic. City coach Mark Crittenden turned to his bench to look for a second goal wih 20′ minutes left, bringing on Danny Choi and Daniel Araujo. The move almost paid dividends immediately with Choi forcing Hamilton into two smart saves in the 75′ minute. In the 82′ minute the home side moved exceptionally well up the field with Choi finding space on the right before cutting the ball across to an oncoming Araujo whose shot was again saved by Hamilton. Four minutes later Blacktown doubled their lead with Araujo taking the ball up field after a mix-up between two South Coast Wolves players before finding Miyazawa on the edge of the box who struck the ball beautifully into the back of the net. Danny Choi put the nail in South Coast’s coffin in injury time. With the visitors moving forward for a corner Blacktown countered with Miyazawa and Choi combining for the latter to strike the ball into the bottom right hand corner. Following the match Crittenden said he was pleased with his side’s performance but said they had to start taking more of their chances. “We knew it would be a tough game, since Naz (South Coast Wolves coach Nahuel Arrarte) has taken over they have been really well organised and been working hard,” he said. “At the end of the day the boys got the result we were after and we did well. In the away dressing room Wolves coach Nahuel Arrarte said it was disappointing for his side’s winning streak to come to an end. “I thought we didn’t stick to our game plan early on and that’s where they started getting on top of us a bit,” he said. “The second half even though we concede two goals we started passing the ball and causing them a bit more trouble out wide. LAST year’s champions Bonnyrigg White Eagles have made amends for their opening round defeat against Rockdale City Suns earlier this season by posting a 1-0 win in a blockbuster encounter at Ilinden Sports Centre. In a game that had both the Rockdale and Bonnyrigg fans on the edge of their seats for the majority of the game, it was a solitary penalty to Robbie Younis in the dying moments of the match that sealed it for the visitors. It was the home side who created the first realistic chance of the game in the 13’ minute when Tadhg Purcell linked up with Sean Symons. Purcell put a nice ball through to Symons who was lurking out on the left where the speedy forward still had plenty of work to do as he took on the Bonnyrigg defensive line. Symons deft touch on the ball to turn inside his defender brought the Rockdale faithful to their feet as he fired off a shot on target that was only negated by the cat-like reflexes of Bonnyrigg keeper Matthew Nash diving low to his left to prevent an early Rockdale goal. The wake-up call was just what the visitors needed as a high looping corner by Ken Chun in the 17’ minute from out on the left found the imposing height of striker Aaron Peterson who rose high above the defensive line to angle a header toward the net. Unfortunately for Peterson he couldn’t quite get enough on the ball and it sailed over the bar. The danger bells were ringing for the Suns as yet another corner in the 24’ minute, this time from out on the right side, found Nikola Zonjic whose shot from the middle of the box was blocked and rebounded to teammate Peterson. The Bonnyrigg striker fired off a shot at point-blank range from the far post only to be brilliantly blocked by Rockdale keeper David Bradasevic. Rockdale returned serve in the 33’ minute after Nikola Taneski, Symons and Purcell all combined well to get in behind the Bonnyrigg defensive line. Taneski delivered a nice ball from the centre of the park to Symons who seemed to be everywhere throughout the opening stanza. Symons then crossed to Purcell in the box where the Suns striker probably should have opened up his side’s account, but instead rushed his shot and put it wide of the near post. The home side appeared to have the ascendency in the latter stages of the opening half and created another opportunity in the 43’ minute after Taneski was brought down out on the left. An ensuing perfectly weighted free-kick found the feet of an unmarked Paul Kohler where the Suns captain connected sweetly with the ball on the half-volley, but instead of putting into the back of the net from close range, sent it high up over the bar to ensure that the contest would remain scoreless at the break. The epic arm-wrestle continued well into the second-half with Bonnyrigg’s Chun determined to get his name on the scoring sheet. The 51’ minute saw the visitors come close when the energetic Chun latched onto a cross from out on the right. Chun’s on-target left-foot thunderbolt looked certain to find the back of the net, but Bradasevic was again equal to the task by getting the faintest of fingertips onto the ball to send it up over the bar and out of harm’s way. Symons also continued his dominance when he took on the Bonnyrigg defence and showed some turn of speed with the ball to get deep into the opposition’s half. A looping cross from out on the left by Symons found Taneski on the far post, but the forward was well marked and despite getting a boot to the ball, sent it over the bar. In end-to-end entertaining action, Bonnyrigg hit back with yet another opportunity in the 63’ minute after Chris Tadrosse crossed from wide out on the left for a fast-finishing Peterson. The towering striker appeared to be somewhat wrong-footed as he arrived at the ball and simply chipped it to Bradasevic who made an easy save. The crowd were again on their feet mere seconds later as Rockdale counter-attacked with a swoop of their own. A neat cut back pass from the left edge of the box by Idriss El Hafiane found an unmarked Paul Reid who fired off a powerful shot that rose above the bar to keep the game scoreless. As with the latter stages of the first-half, Rockdale were again gaining momentum, but everything they threw at the visitors the Bonnyrigg defensive line somehow managed to repel the Suns numerous raids. However, tragedy struck for the home side when a hand-ball saw a penalty awarded against Rockdale’s Kohler in the box, effectively signalling that patience had eventually prevailed for the vistors. Replacement forward Robbie Younis made no mistake from the spot in the 86’ minute to steal the game for the visitors in the dying moments of a thoroughly entertaining display of football. “I’m ecstatic, but that sure was a tough win,” claimed a jubilant Bonnyrigg coach Brian Brown. “This was always going to be a tough game as we’ve had three great contests against Rockdale this year as Branko’s team always makes it hard for us. “We tried to open things up in the second-half, we changed our formation a bit and both teams had some real good chances. I thought their keeper pulled off some outstanding saves as did our keeper in a real tight game. “I think in the first-half both sides matched each other, the conditions were tricky, it was windy, the pitch is a bit bumpy, but the second-half it was much more open and it created a great spectacle to watch. Rockdale coach Branko Culina agreed that both teams put on a great spectacle, but was bitterly disappointed that his side did not capitalise on the chances created. “Tell me one game where we shouldn’t have walked away with the full three points this season,” quipped Culina when asked about the loss. “It’s a collective problem of not being able to take chances and giving away silly goals. Despite the result, both sides remain firmly entrenched in the top five on the National Premier Leagues IGA NSW Mens 1 ladder as the competition heads into the second-half, and the all-important business end of the season. Bonnyrigg play three of their next four games at home and will be looking to cement their spot in the top three starting next Saturday evening when they host the struggling Manly United outfit at Bonnyrigg Sports Club, while Rockdale head on out to Edensor Park next Sunday afternoon as they take on last season’s premiers Sydney United 58 FC who will be looking to improve on their somewhat disappointing opening half to their 2014 campaign. There were a couple of new faces that made their debuts for Football NSW’s IGA NPL NSW Mens 1 Team of the Week for Round 11. Rockdale City Suns’ David Bradasevic had a solid match as he kept Manly United scoreless in his side’s 1-0 victory at Cromer Park. Blacktown City FC pairing of Shayne D’Cunha and Jacob Poscoliero also grabbed headlines for their outstanding performances in the Blacktown Derby last week while departing Sutherland Sharks livewire defender and midfielder Adamos Pierettis had a sterling performance notching up two goals in his side’s 4-0 victory over Sydney United 58 FC. Here is Round Eleven’s Team of the Week, as adjudged by Football NSW journalists. BONNYRIGG White Eagles secured a hard fought 1-0 win over a defiant Sydney Olympic outfit at Belmore Sports Ground on Sunday. Olympic were left to rue a number of missed opportunities in a decent display as a Chris Tadrosse free kick in the 19′ minute made the difference between the two sides. The loss leaves Sydney Olympic winless at home in this year’s IGA National Premier Leagues NSW Men’s 1 competition. The Blues started the match on the front foot with Bonnyrigg sitting deep for the opening minutes. The first chance of the match came in the 8′ minute when an Amaury Gauthier cross was met to Michael Gaitatzis whose header from six yards went over the bar. Bonnyrigg quickly responded with a chance of their own a minute later as Tynan Diaz entered the Olympic box, unleashing fantastic shot forcing Olympic goalkeeper Paul Henderson into a great diving save.  Former Perth Glory midfielder Howard Fondyke made the Olympic defence look amateurish in the 12th minute, dribbling his way past three players and onto goal before hitting the ball wide of the left hand upright. Evan Kostopoulos got on the end of a long ball four minutes later, holding it up and turning Dylan Fox to shoot directly at Matthew Nash who palmed the ball away. The end to end action finally saw the opening goal of the match in the 19′ minute as a Tadrosse curling free kick from wide on the right caught Henderson on his heels, with the ball passing everyone in the box and hitting the back of the net. Tadrosse almost doubled the lead in identical fashion just before the half hour mark but Hendersson quickly claimed the ball to keep his side in the match. Bonnyrigg continued to apply pressure with Adrian Ucchino finding space on the right before dribbling into the box with his shot claimed by a diving Henderson. Sydney Olympic made their way into the Bonnyrigg half in the 37′ minute as Harris Gaitatzis’ attempt to find Go Shirai at the near post, only for the White Eagles to get to the ball first. The two combined to create a great chance two minutes before the break, with Shirai slicing his shot wide from point blank range. Bonnyrigg came out of the break hungry to put the game to bed and almost doubled their lead within two minutes when a Tynan Diaz free kick was tapped onto the cross bar by Henderson before Olympic cleared. Sydney Olympic coach Grant Lee added an extra attacker to his line up in the 50′ minute, replacing Brendan Hooper and Michael Gaitatzis with Taiga Soeda and Dimitri Hatzimouratis. The move inspired Olympic as they began to move up the field with more intent. Hatzimouratis started to trouble the Eagles defence with his physical presence and could have brought his team back into the game on the 60′ minute mark, only to head the ball directly at Nash. Olympic pinned Bonnyrigg into their box with a succession of free kicks and corners in the 65′ minute, with the best chance coming again falling to Shirai who could not time his shot as Bonnyrigg cleared. Shirai had the home fans on the edge of their seats in the 74′ minute as a fantastic dipping volley went over the head of Nash but bounced on top of the net. Kostopoulos was the next to test the White Eagles, with the former Adelaide United rising well to head the ball goal wards with Nash dropping fast to save. Bonnyrigg striker Robbie Younis had a great chance to put the game to bed with 10 minutes remaining after he was put through on goal via an Aaron Peterson through ball, but volley from the former golden boot winner went over the bar. As the game wore on Bonnyrigg’s defence stood tall to block several shots from the Olympic attack. Olympic’s hopes of getting a result were dashed in the 86′ minute when Yianni Spyrakis was sent from the field after his second yellow card. Following the match, Bonnyrigg White Eagles coach Brian Brown was pleased with his side’s performance. “It’s a tough venue to come to and I thought our performance in the first half was excellent,” Brown said. “We were probably a bit unfortunate to not be two or three goals up. "Credit to them they came back at us in the second half where I think we didn’t keep as much possession as we had in the first half. In the home dressing sheds a disappointed Grant Lee said his side needed to start taking their chances. “We just keep shooting ourselves in the foot every week. We keep giving our opponents easy goals and it’s very hard to keep chasing games. “You look at the number of opportunities we created we should definitely have taken something out of that game.